• Rogue 30K, Jan 10th 3:25:45. This was my first and, sadly, only time to run this race. This ended up being the last year that this event would happen. There was apparently logistical issues with the area where the race was held and it was just more trouble than it was worth anymore. In case you don’t know a 30K is roughly 18.5 miles. Because the lead cyclist took a turn where he was supposed to go straight, we were all led astray. So in order to try and remedy the issue, they added a little to the end of the course and it ended up being a little over 19 miles total. It was a really cold day and I was super bundled up, and I had rolled my left foot getting out of my car when I stopped for a bagel and tweaked my foot. I do wish that this race was happening again in 2017 as I’d love to redeem myself and get a better time. • Chocoholic Frolic, Feb 7th 58:56. A fun race that was actually short. If I remember correctly, it was right at 6 miles, not the promised 6.2. It was fun and an okay substitute for the Hot Chocolate race I had actually wanted to do but couldn’t afford to make happen. The swag was a semi-nice quarter zip pullover…I say semi-nice as it had no thumbholes…booo! May or may not run this one again next year. Still up in the air. 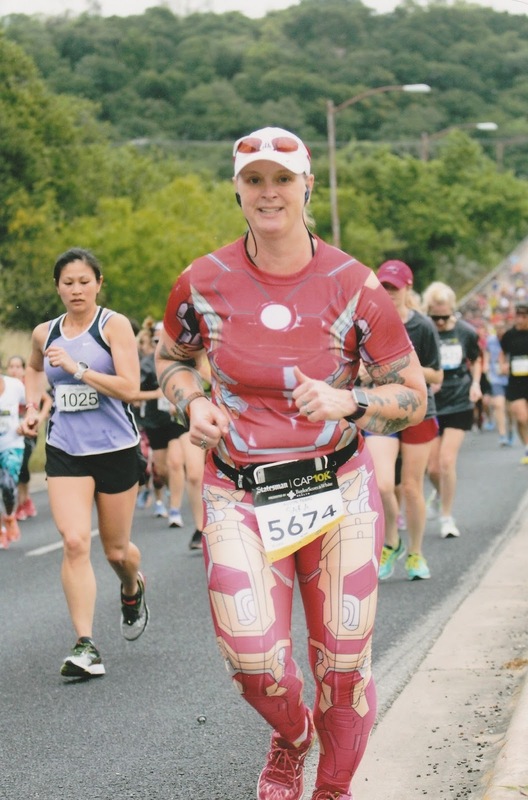 • Austin Marathon, Feb 14th 4:35:17. Love, love, love this race. This was the 2nd time I’ve run the full marathon at this race. The super neat thing, since this year’s race happened on Valentine’s day, the bibs were heart shaped! How cool is that?!?! Going into this race I had hoped for a sub-4:30:00 finish, but went too fast the first half and that signed my warrant for hitting the wall. Then my music refused to play when there was still a 5K remaining. Thank goodness for spectators or I wouldn’t have been motivated to finish as well as I did. 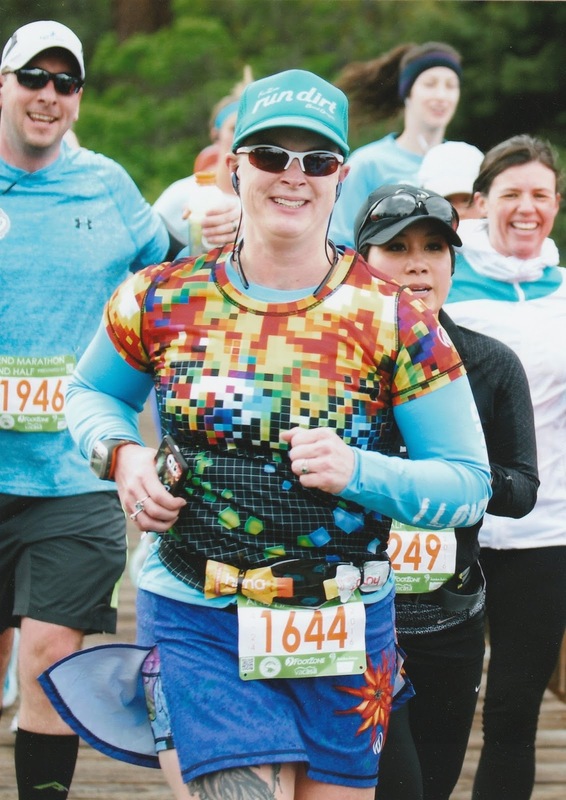 At the time of this race, this was my marathon PR…by about 9 minutes! • Music Run, Feb 20th 45:43. This was a fun run that was completely untimed and I did it with my friend Heather. We walked most of it as she wasn’t in running shape, even for a 5K. 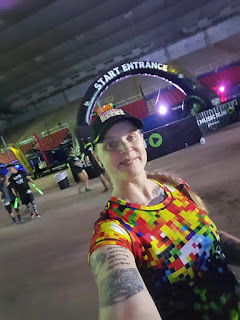 We had a great time talking and the race was at night and everyone had glow in the dark stuff, so it looked really cool with us all snaking all over the place. They had music stations that played different types of music so that was cool. • Illuminations Half, March 5th 2:17:01. 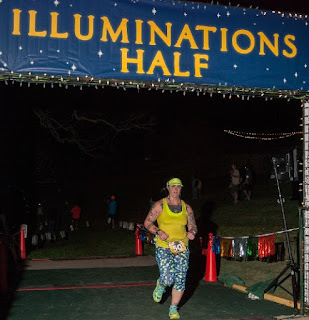 A night time race that ran us around the grounds of the Hyatt Regency Lost Pines Resort outside of Bastrop, Texas. We ran on the golf cart path, wood chip paths, dirt paths, paved roads, chunky gravel roads and across the grass. I discovered during this race that the light from my LED visor was completely insufficient. I had a decent time, but when I do this race again in 2017, I need to make sure I get to the race sight WAY early because parking is ridiculous. • San Felipe Shootout, March 12th 7:07:43. This was what I call the “mud & flood.” It had POURED rain for almost a week straight before the race, thankfully stopping 2 days before, so the completely flooded state park had a chance to drain a little bit. The water was still up to my chest at one point. People shorter than me had to actually swim that part! 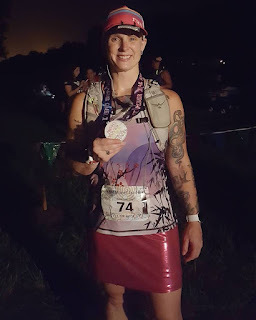 The reason my time was over 7 hours is due in large part to the conditions, but also because I ran all 3 races that were offered. 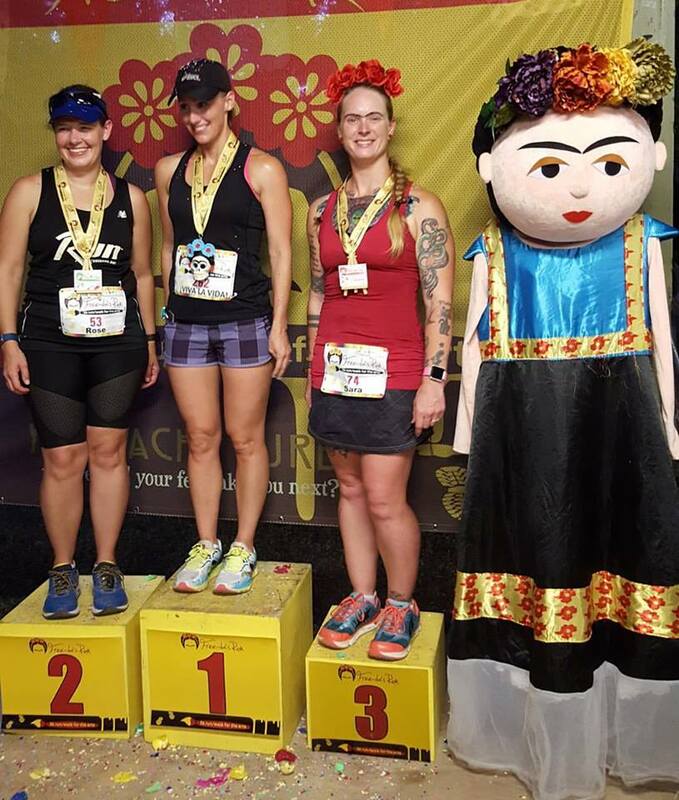 The 5K, 10K and half marathons. I remember the 5K took me about 56 minutes. While the course conditions were miserable, I still had a great time and this will definitely be an event I remember forever. • Shamrockin’ 5K, March 19th 30:58. 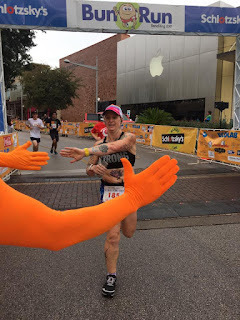 Another race with my friend Heather. Except we didn’t run it together. We each ran our own race. This obviously wasn’t even near to a PR for me. I wasn’t feeling tip top, of course. Add that to it was COLD and WINDY and yea, you get what I got. If this race happens again in 2017 and I don’t have other plans that day, then I will probably run it again. • ASH Dash, March 26th 27:09. I love this race. It’s a 5K. 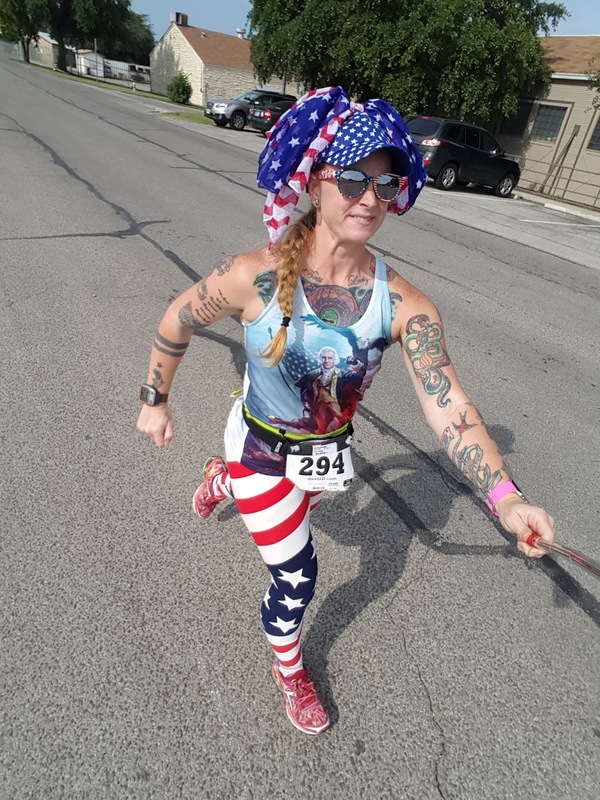 It’s run 100% on the grounds of the Austin State Hospital and benefits their volunteer group. 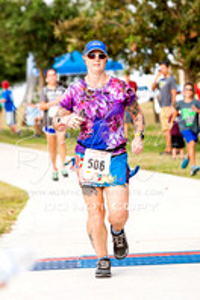 At the time of the running of this race, this was my 5K PR. 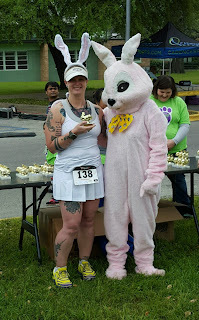 I also won 1st in my age group, which got me a super cute little golden bunny trophy! • Austin 10/20, April 3rd 1:34:31. Love this race. My 3rd year running it. Definitely running it again in 2017 (registered for it at this year’s expo for super cheap reg fee!) and every year after that, so long as I’m able to, of course. 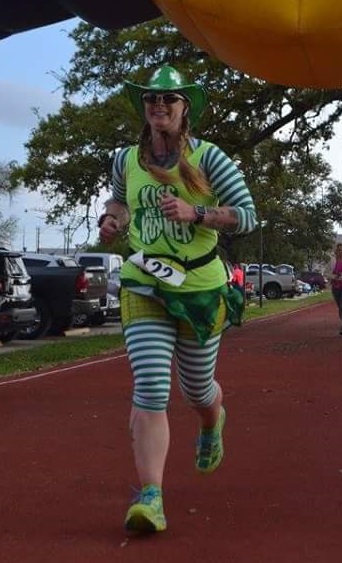 This is my current standing 10 mile PR. The course is pretty flat and this is the ONLY race I run completely without music. I just love it. And they have a band or musician of some sort every ½ mile…you can set your Garmin by it! • Capitol 10K, April 10th 59:21. One of my absolutely favorite races. Favorite 10K hands down. It’s a VERY hilly race, so it’s definitely a good challenge. They have a king/queen of the hill challenge as you run down (up?) 15th street to where it turns into Enfield. I love seeing how many people I pass when I go up that hill as it gives you your rank as you cross the timing mat at the bottom and top of the hill. When 2016 started, my goal was to run a sub-1 hour 10K and this was my first success in that regard. • Sisters “Better Half,” April 23rd 2:19:23. A very flat, but at about 3500 feet above sea level, so it was more taxing on my body than a half marathon at the elevation I’m used to in Texas, which I think is about just 500 feet above sea level. This is a very scenic, double loop course. You get to see the heavily wooded neighborhoods, the heavily tree-lined highway as you run down the pedestrian path off to the side of the roadway, the mountains in the near distance, ranches full of horses and cattle, old barns and other buildings. It’s just great. There are no spectators other than the people that live in the houses you run past, though. Given the chance, I would most likely run this one again. • Bend Half, April 24th 2:29:58. This was the 2nd of my back-to-back half marathon endeavor. This one was in, well, Bend, which is the neighboring city to Sisters (these are in eastern Oregon). Unlike Sisters, Bend is NOT flat. It is downright mountainous. There was one hill the just kept going and I remarked to another lady “why do they hate us so much?” HA! There was a bit of the race on a dirt trail and I LOVED that bit of it. Even took a short video of it as I ran! I was definitely tired from my effort at the Sisters Half, and was happy to finish and get my really awesome, Oregon-shaped medal. • Wildflower Half, May 7th 3:02:52. 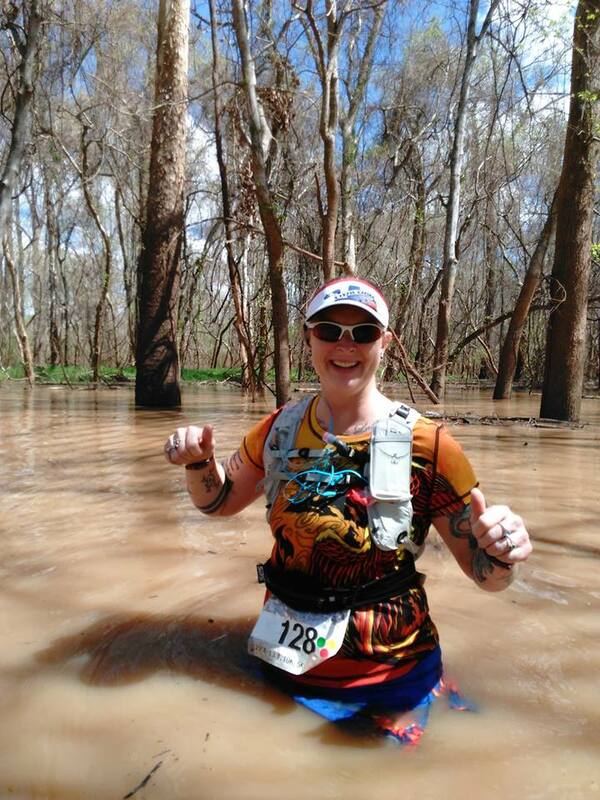 This race is run in the Bastrop State Park where a massive wildfire plowed through a few years ago. The park and surrounding areas are slowly recovering. As a result there is so much new growth and the scenery is absolutely beautiful…even if not a little sad as well as you run past all the charred remains of the trees that once stood there, so tall and proud, but are no more. 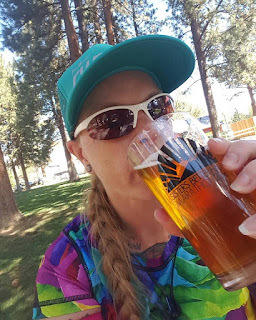 This was, obviously, a trail race and as a rule of thumb for me, I don’t give one hoot about my pace during a trail race or trail run. 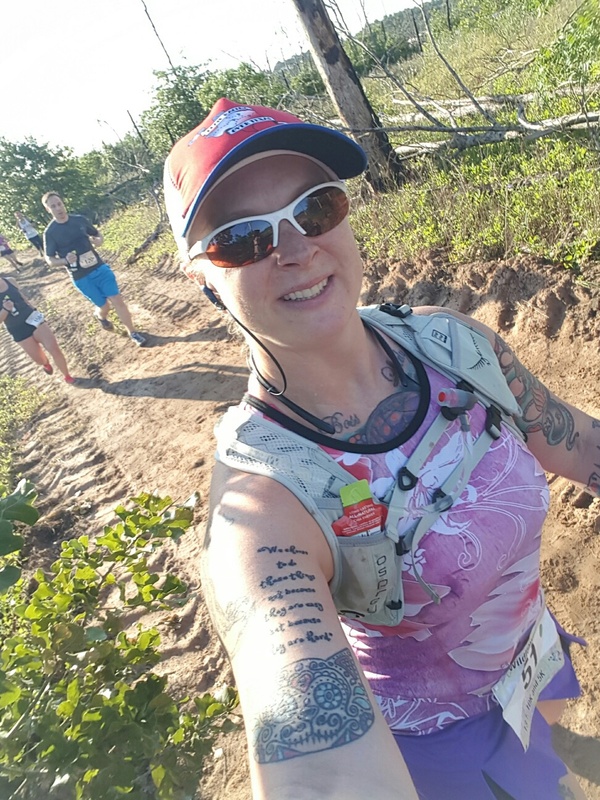 I just enjoy the scenery and making new friends on the run. • Sunshine Run, May 8th 1:04:03. 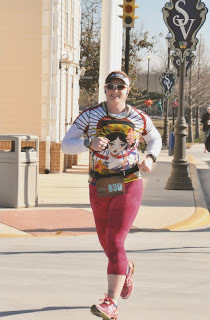 This was my 3rd year running this race. 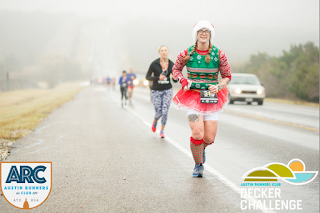 It’s a mostly flat out-and-back course with one somewhat steep but short hill that will totally sneak up on you, even when you know it’s coming for you. I was really hoping for a PR, but I was foiled in my attempt. After the half marathon effort the day before, I just didn’t have it in me to go sub-59 minutes. Still a good race, though. • Autism Speaks Texas 8K, May 29th 48:31. I love this race. I’ve ran it 3 times in the past 4 years (missed last year as I was out of the state visiting family). It’s a great course, on Camp Mabry. 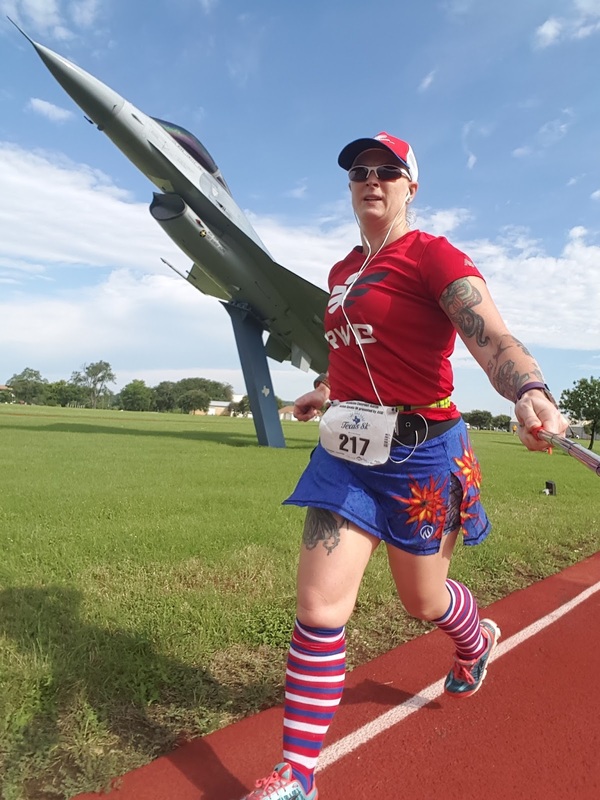 I run like 5 or 6 races a year on Camp Mabry. This is not a flat course and does have 2 hills per lap, so 4 hills total as it’s a double loop course. And, of course, it benefits Autism Speaks. • Freedom 5000, July 4th 29:07. Was seriously hoping for a PR or an age group award. If I remember correctly, I think I came in 9th in my age group. Ugh. I did get loads of compliments on my outfit. I love being super patriotic for this race and basically try to look like freedom threw up on me. Or maybe exploded all over me. Hehe. Like fireworks! • Free-da’s Run, July 23rd 27:12. 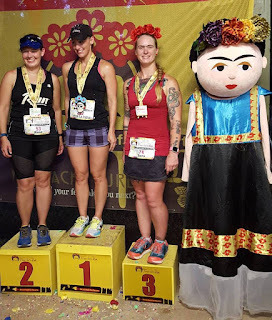 My very first age group award finish where I got to stand on an actual podium! 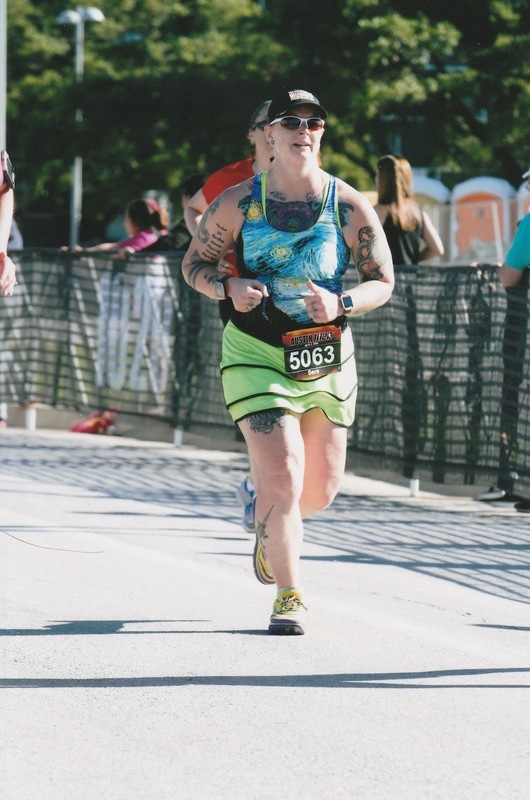 I got 3rd in my age group and it was awesome. They were handing out free sausage wraps post-race so I managed to grab 2 and because I didn’t want to eat them at that time and didn’t want them in the photos, I stuck them in the back of my sports bra and the race director and photographer, when they saw them, thought that was hilarious. • Night Moves Half, August 6th 3:37:50. Another trail race…on mountain bike trails…in the dark! Brilliant! In the middle of summer too, on the coast. 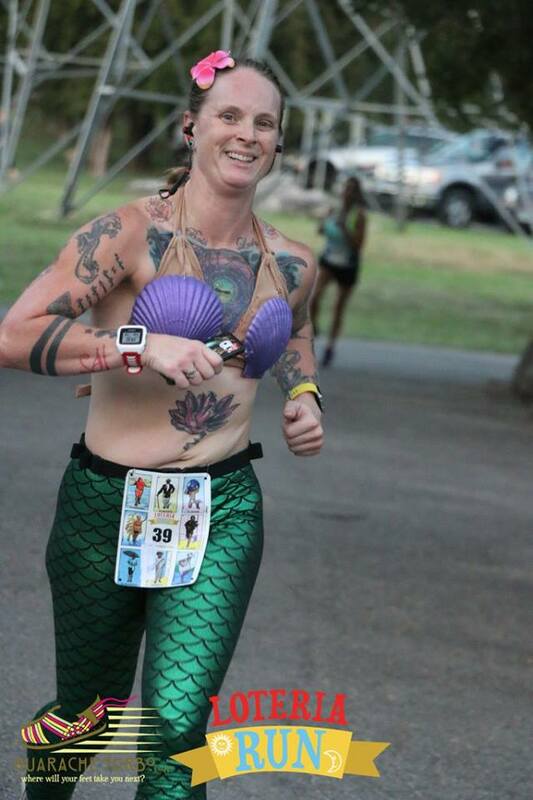 So when I crossed the finish line and the race director said I’d just come from the swimming pool I had to laugh. This was an awesome experience and I hope I can do it again in 2017! • Dragon’s Den Half, August 13th 2:20:20. This one is named Dragon’s Den because it’s in the middle of summer and is supposed to be HOT, however it was overcast and chilly and shortly after I finished, it started raining! Nothing dragony about the rain. This was another double loop course and was somewhat scenic as it ran around a city (?) park and some ball fields and such. It was mostly a cross country type course. • Loteria Run, Sept 16th 25:40. Hello 5K PR! However, not good enough for another podium finish (same racing company as Free-da’s Run). I got 4th. Wah wah. But, I ran this race dressed as a mermaid. I didn’t have my tail sewn together at this point, so it was just leggings with the seashell top. It only chafed a little bit, which surprised me. 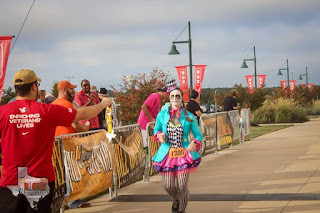 This race was a lot of fun because of the theme. Plus I just love Cece the race director! • Bun Run, Sept 25th 28:14. My 3rd time running a Bun Run, but 2nd time running it at this particular location, however it was a completely different route from the previous time I ran it there. I had a long run scheduled for that morning so I ran 11 miles before the race, then ran the race relatively fast-ish, but didn’t think I’d run fast enough for an age group award…found out 2 days later when randomly checking the results that I had, indeed gotten an award. They kindly mailed it to me, even though I expressed that I was willing to swing by and pick it up to save them the postage, but they insisted on mailing it. • Back to the 80’s 8K, Oct 2nd 43:26. First time for this race. It was the kick off race for the Austin Runner’s Club Distance Challenge. 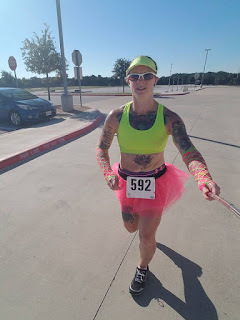 Yet another race where I had a long run scheduled for race morning, so I arrived early, ran I don’t remember how many miles pre-race, then ran the race, completely smashing out a new PR for the 8K/5 mile distance, then ran some more post-race for a total 19 miles that morning. Really want to do this race again in 2017 and go even more all out with my 80’s costuming. • Capital 2 Coast Relay, Oct 14-15th 4:04:23. OMG! This was such an AMAZING experience!!! 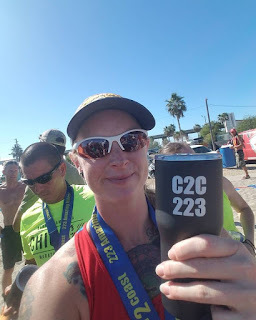 I ran 4 legs for a total of 24.96 miles. 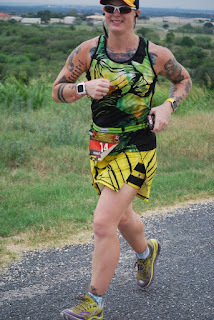 I got a new PR for the 10K distance during my 1st leg of the relay (I was runner #3). I made so many new friends during this experience. I got a whopping 2 or 3 hours of sleep during the 33 hours it took my team to complete the 223 mile relay distance. But I wouldn’t change anything about it…except maybe taking a book for the part where we had to wait for hours and there was no cell or wifi service/signal. Our team also finished 2nd in our division so we got super cool faux-Yeti tumblers…the 20 oz size, I think. • Fight Like a Girl 5K, Oct 16th 26:03. I did this race last year in my walking boot. So I redeemed myself this year. In order to be in the running (HA!) for an age group award, you obviously had to be a timed runner, which was an extra $5 for the timing chip. I gladly paid it. this is a cross country course with some brief moments on a paved walking path. 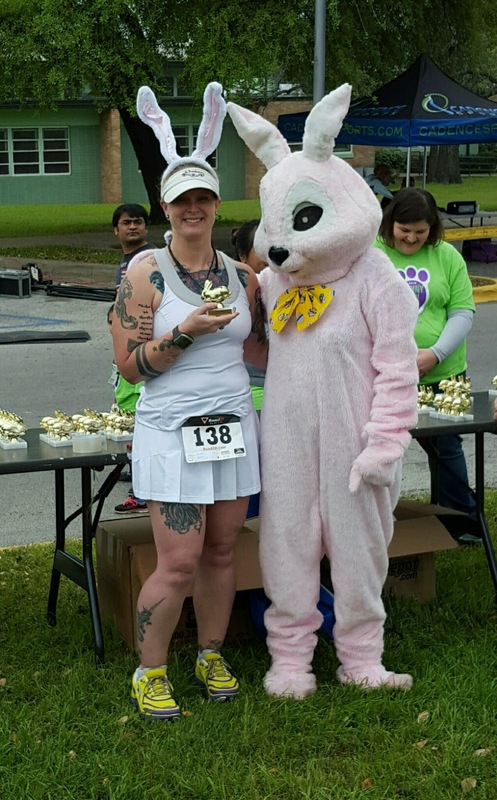 This was my 2nd fastest 5K and I scored 1st in my age group! Sadly, this was the last year for this race. I’m glad I got to actually run it before it was no more. • Hill Country Halloween Half, Oct 29th 1:58:43. 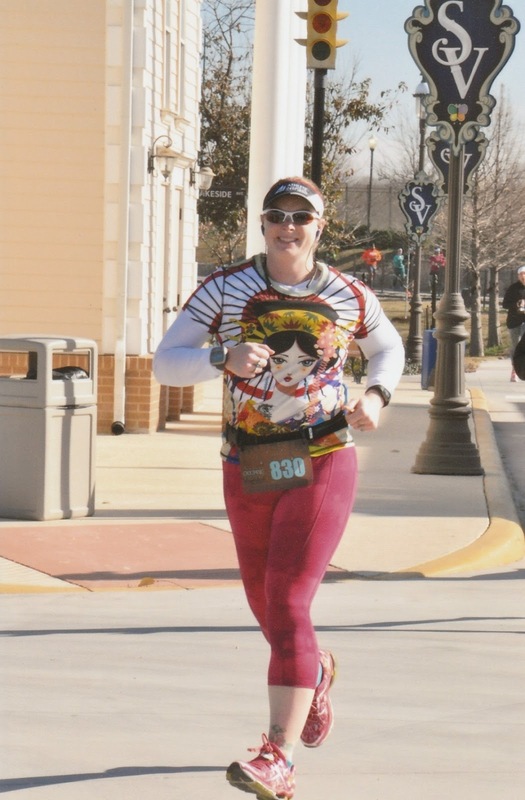 My 2nd time running this race…sort of. Last year ended up being a virtual race as it got stormed out and they canceled it, but we all still got to pick up our medals. 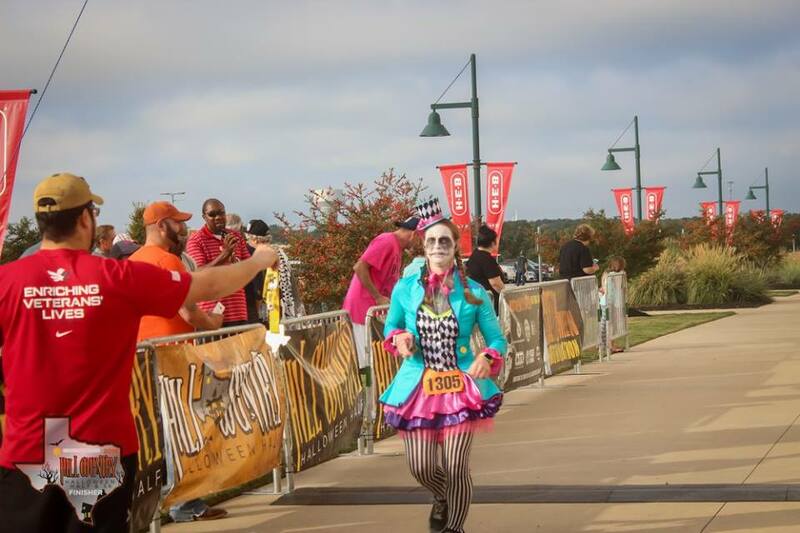 I ran in my full ghoulish mad hatter costume at a sub-9:15/mi pace. People kept telling me I was amazing (literally at least 3 people said exactly that) and asked how I was running so fast in a costume. While the course is ¼ mile short of 13.1, I know I can finish a half in under 2 hours. I know I can! The best part, when they put up their link to register for next year, I was the picture on the link!!! • Run For The Water, Nov 6th 1:36:31. The second race in the Distance Challenge series and another first time race for me. 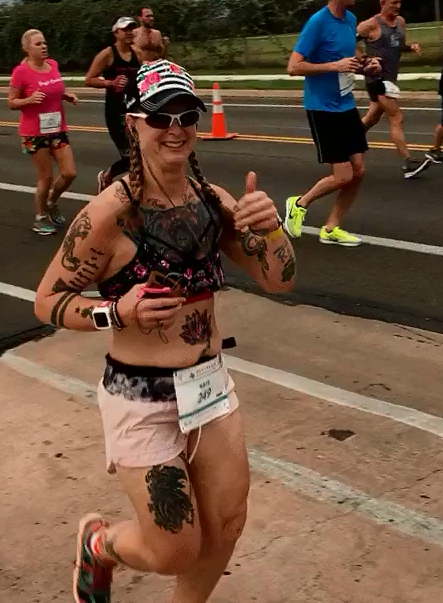 This was a 10 mile race. I hadn’t intended to race it, but I was going through some emotional issues at the time and just needed to run it out. So I did. 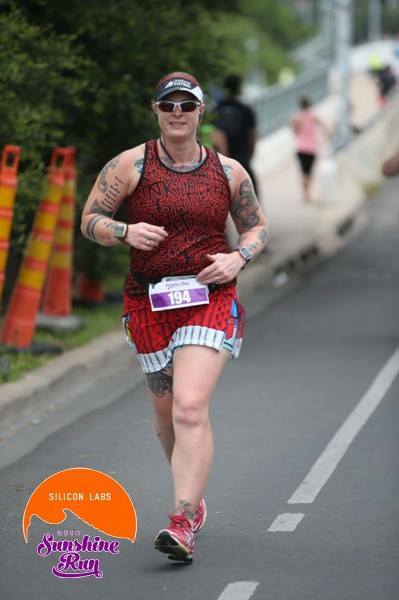 I ended up getting exactly 2 minutes off my current 10 mile PR without even meaning to…on a SUPER hilly course! So, I’m confident I can finish a 10 mile race sub-1:30:00. I’d love to run this race again in 2017. • South Padre Island Marathon, Nov 12th 4:29:53. One of my favorite races. Last year was the inaugural event for this race, so I have ran it all 2 times it has occurred. I was really hoping to finish 4:15:00 or faster and thought I’d trained adequately for that, but I wasn’t prepared for the head wind I faced on the north end of the island and it just sucked everything out of me and my pace faltered. There was crying, but there was also sucking it up and driving on. I finished the final mile of this race to the tune of military cadence. I hope to run this race every single year. Even if it means traveling back to Texas when I no longer live here after retirement. • Run With The Heroes, Nov 13th 26:47. This race has my heart. Literally. I love it. I do not miss it. Which is why I ran it the day after running my fastest ever marathon. I had originally planned to use this as a shakeout/recovery run…more of a jog, really. 10:15-ish pace. However, after the initial stiffness worked its way out of my legs after ¼ mile, I wasn’t to be stopped. One of my friends ran up next to me, not knowing I was going to be there, and said “what the eff are you doing here? Didn’t you run a marathon yesterday?” Yes, yes I did. Hehehe. That’s how I roll! 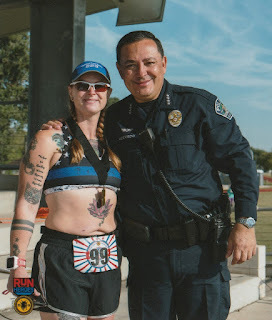 Anyway, logged my 3rd fastest 5K and scored a 3rd place age group award and got my photo taken with the chief of police! • Turkey Trot, Nov 24th 44:25. My 3rd time running this one. The first year I went with a very minimal costume. 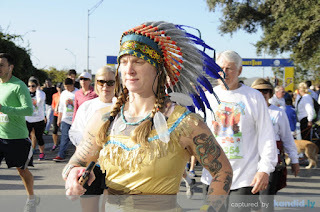 Last year I went as an Indian maiden. This year I wanted to do a more fancy Indian maiden costume. I found an amazing, yet cheap, reproduction headdress to go with my new Disney Pocahontas costume. The photographer got a couple amazing photos of me too! I got my second fastest 5 mile time. I am confident I would have PR’ed this distance had I been a timed runner and hadn’t had to deal with weaving in and out of walkers for the first mile. I love running this race. It’s a great way to feel a part of something on a family oriented holiday when you are nowhere near your family. 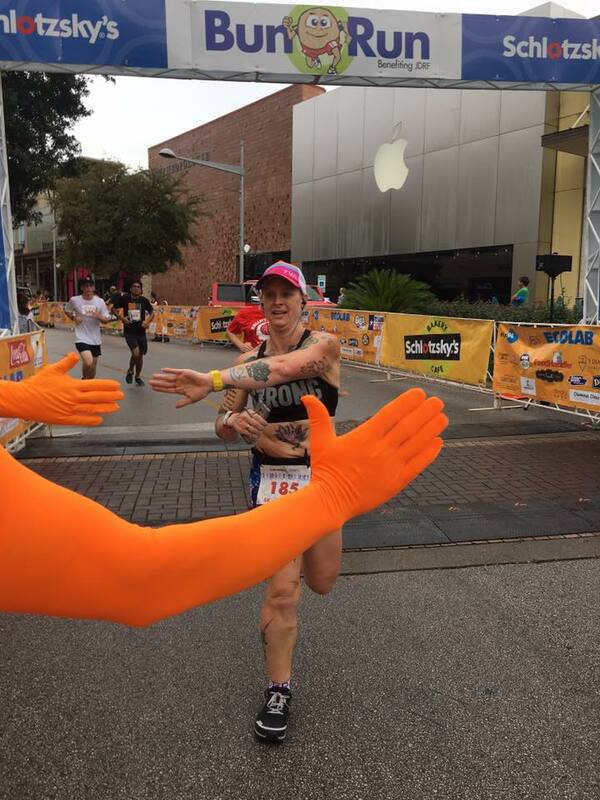 • San Antonio RNR Marathon, Dec 4th 4:31:56. I wasn’t going to run this race originally, but then on Global Running Day, they had a massive sale and it was only $69 to register. I couldn’t turn that down! So I ran it. 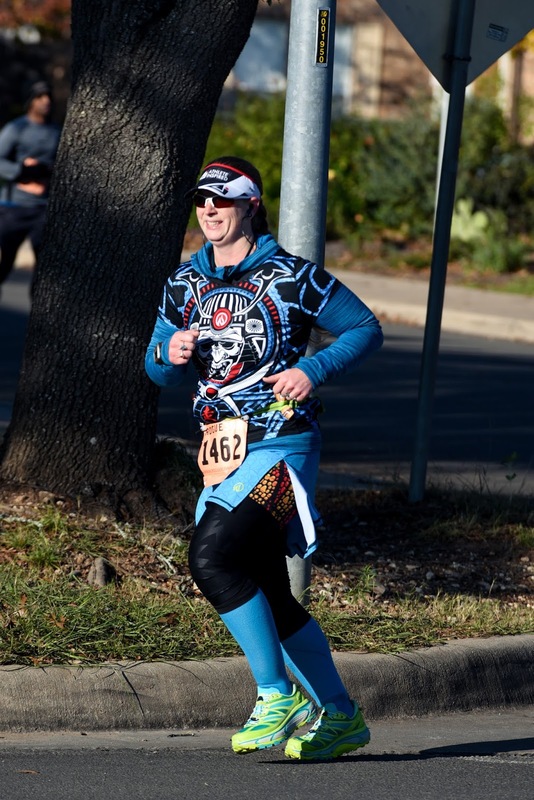 I again had aspirations of finishing 4:15:00…or at least PR’ing. The weather conditions were way less than optimal. Rain, wind, cold. 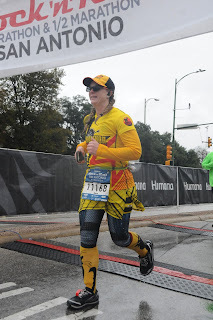 I was decked out in Marathon Maniacs attire. 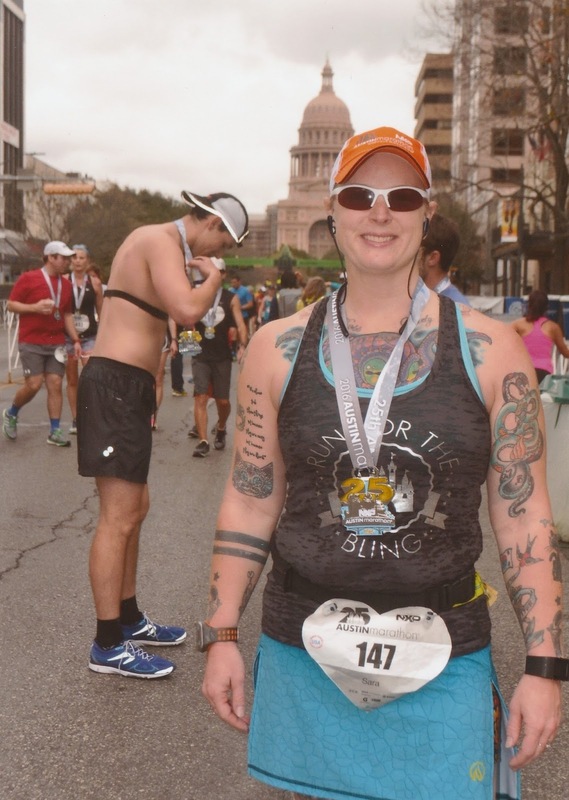 While I didn’t succeed in even snagging a new PR, I did get my second fastest marathon by not a huge margin, just 3 weeks after the fastest marathon I’ve ever ran! So that’s a win! • Decker Challenge, Dec 11th 2:03:29. Race #3 of the Distance Challenge and yet another first time race for me! I usually run the Brown Santa 5K that is run the same day and starts 15 minutes after the half (the Decker Challenge is a half marathon, btw). This course is very hilly. In fact, after the finish they have one of those giant photo frames you can take a picture with that says “What the hill?” Hahaha! I ran the first 10K with my friend Rob before he dropped off. He knew I was shooting for a PR so I knew he understood me leaving him behind. 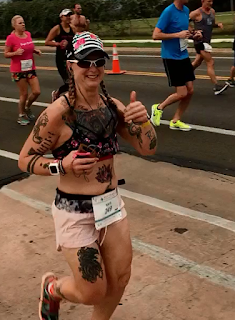 And PR I did! By almost a minute and a half even! This was a crazy difficult and technical race. Not sure if I want to try and run it again in 2017. If I do the Distance Challenge again, then I will for sure. So we’ll see. So, while I have a RACE 10K PR of 59:21 from the Capitol 10K, my 10K distance PR is 53:59. So I have every hope and expectation of finishing closer to 50-flat at a 10K in 2017. 2016 was an amazing year in racing for me. 31 races! Wow! I am definitely a race-aholic! I love, love, love racing! 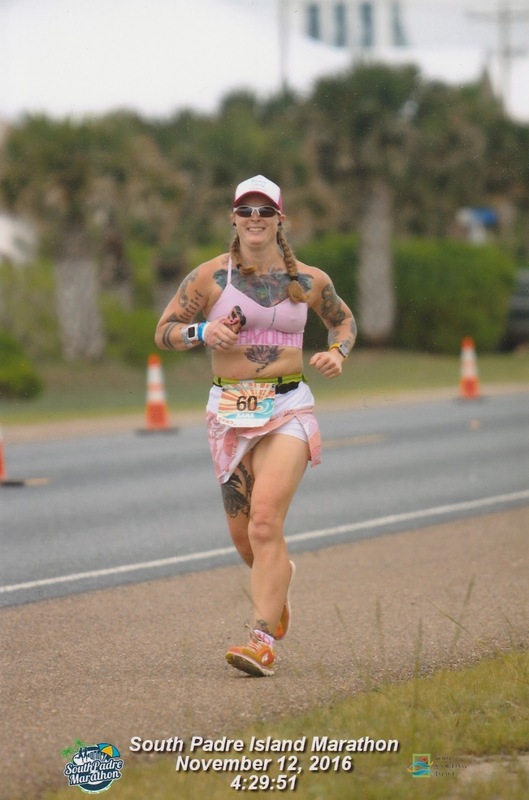 Racing makes my running world go ‘round. I love training for races almost as much as I love running them. I’m hoping that 2017 is just as amazing, if not more amazing for me and my racing "career." That is crazy awesome - congratulations on all 31 of them!